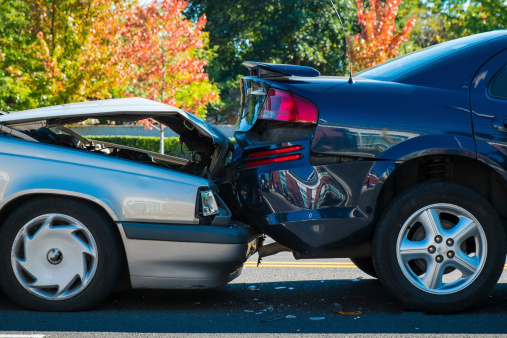 Surrey ICBC Car Injury Lawyers warn that rear end accidents can seriously injure the bones, joints ligaments and soft tissues of the neck, back and legs of innocent victims. MacLean personal Injury’s Surrey ICBC Car Injury Lawyers will help you obtain justice and the highest fair settlement or trial award. We have 5 offices across BC in Vancouver, Surrey, Kelowna, Richmond and Fort St John/Dawson Creek. We meet with you for free and will provide an initial assessment of your case and a plan for you to move forward. MacLean law’s experienced Surrey ICBC Car Injury Lawyers know these injuries cause pain and suffering but even more frightening is the negative impact these injuries have on someone’s ability to work and earn a living. MacLean Personal Injury’s Surrey ICBC Car Injury Lawyers note in a recent BC Supreme Court case a rear end accident victim named Ms. Beaton was diagnosed with soft tissue injuries to her neck and upper and mid-back and with debilitating cervicogenic headaches. The crash caused her to have trouble sleeping more than a few hours a night and it was expected her condition would worsen. She also suffered from depression the judge found was caused by the accident. The judge awarded damages of $75,000 to her for future wage loss and loss of capacity to earn income. MacLean Personal Injury’s Surrey ICBC Car Injury Lawyers want potential clients to be aware of what the test is to obtain a proper and generous personal injury settlement for wage loss is. Our lawyers will work with you to recover physically and mentally and most importantly financially. (f) The earnings approach will be more appropriate when the loss is more easily measurable; see Westbroek v. Brizuela, 2014 BCCA 48 at para. 64. Furthermore, while assessing an award for future loss of income is not a purely mathematical exercise, the Court should endeavor to use factual mathematical anchors as a starting foundation to quantify such loss; see Jurczak v. Mauro, 2013 BCCA 507 at paras. 36-37. (g) When relying on an “earnings approach”, the Court must nevertheless always consider the overall fairness and reasonableness of the award, taking into account all of the evidence; see Rosvold at para. 11. Surrey ICBC Car Injury Lawyers at MacLean Personal Injury look forward to meeting with you immediately after the accident and BEFORE you speak to ICBC adjustors. Call us toll free across BC at 1-877-602-9900.